Morphine is the principal alkaloid in opium and the prototype opiate and narcotic. It is an opiate alkaloid isolated from the plant Papaver somniferum and produced synthetically. Morphine has widespread effects in the central nervous system and on smooth muscles. It binds to and activates specific opiate receptors, each of which are involved in controlling different brain functions. In the central nervous system and gastrointestinal systems, this agent exhibits widespread effects including analgesia, anxiolysis, euphoria, sedation, respiratory depression, and digestive system smooth muscle contraction. 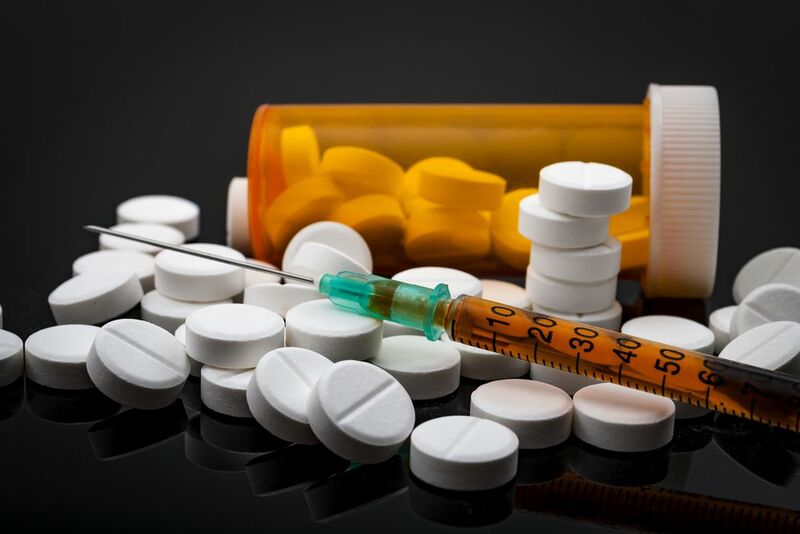 Morphine is readily available in a wide variety of forms including long and short-acting forms and is used to treat pain caused by a variety of diseases, illness, and injuries. Morphine is an active, inexpensive and readily available, which makes it a valuable drug. Morphine sulfate is a narcotic opioid analgesic, which means it’s a drug that provides the same type of pain relief as opium derived from the poppy plant. Morphine is a dominant pain reliever used for both acute and chronic pain. It is also used, much less frequently, as a cough suppressant, for difficulty in breathing and to prevention diarrhea. People use morphine to avoid going through withdrawal. You are aware of the fact that your life is getting ruined because of it, but you can’t stop. Most of your time is spent under the influence of the drug. Every drug brings risks as a complementary commodity, and morphine is no exception. Chances increase with higher doses, long-term use and especially inappropriate use without a prescription. To minimize these risks, follow the instructions on your order and only take the medication when needed. Agitation, hallucinations (seeing things or hearing voices that do not exist), fever, sweating, confusion, fast heartbeat, shivering, severe muscle stiffness, loss of coordination, nausea, vomiting, or diarrhea. If you are taking the drug on a regular basis and miss a dose, take it as soon as you are reminded of receiving it. If it is close to the time of your next treatment, then skip the missed dose. Take your next dose at the regular time. Never double the dose to catch up. Store at cold temperature keeps away from light and moisture. Keep the medicines away from the reach of children and pets. Do not flush medications into a drain unless instructed to do so. Properly discharge this product when it reaches its expiry date or is no longer needed. For more details consult a doctor or your nearest pharmacist. Morphine if taken in large quantity may make your body develop a habit of the drug, especially with prolonged use. Strictly, do not take it more it more often or take it in a different way than instructed by your doctor. While you are consuming morphine, discuss with your physician concerning your pin treatment goals, length of treatment, and other ways to manage your pain. If you are suffering or have suffered from depression or another mental illness. There is a higher risk that you will overuse morphine if you have or had any mental illness. There is a higher risk of morphine overuse if you have or had any of the above medical conditions. Morphine may cause severe and life-threatening breathing problems, especially during the first 24 hours to 72 hours of your treatment and any time your dose is increased. Your physician will adjust your dose carefully to control your pain and reduce the risk of severe breathing. Keep your doctor informed if you ever had an issue with breath or asthma. Your doctor will tell you to control the use of morphine. The risk that you will develop breathing issues may be higher if you are older or are weakened or malnourished due to some diseases. If you experience any of the above symptoms consult your physician. Taking certain other medicines for some other disease or medical issue may increase the risk that you will experience some life-threatening breathing issues, sedation, and even coma. Inform your doctor if you are planning to take the following medication: benzodiazepines such as alprazolam, diazepam, estazolam, cimetidine, or any other narcotic pain medications — medicines for mental illness or nausea, muscle relaxants, sedatives, sleeping pills or tranquilizers. Your doctor may need to change your medication according to the intensity of the drugs you are already taking to void any relapse or further damage. Drinking alcohol, taking prescription or non-prescribed medication that contain alcohol, or consuming street drugs during your treatment with morphine increases the risk of experiencing breathing problems or other severe and life-threatening side effects. Do not drink alcohol or take any prescribed or non-prescribed medicines that contain alcohol or use any street drugs during your treatment with other morphine products. Swallow the extended-release tablets or capsules whole. Do not spit, chew, dissolve or crush them. If you swallow broken, chewed or crushes capsules, you might consume too much of morphine at once. It may cause breathing problems or even death. Tell your doctor if you are pregnant or are planning a child. If you consume morphine during your pregnancy, your child may experience withdrawal symptoms, irritability, hyperactivity, abnormal sleep, high pitched cry, uncomfortable shaking of a part of the body, vomiting, diarrhea, or failure to gain weight.